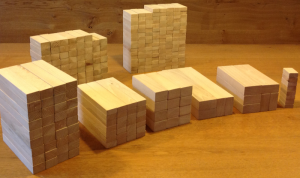 Over 300 blocks out of European beech. The size of the different blocks was troughout optimized due to block combination constraints. Coffee Table Solid oak 5cm. Glass inset.